Power a device up to five times—at more than double the speed—with this rapid, portable USB charger. Reeljuice is equipped with interchangeable tips and a four foot cord you can stretch to your liking, then tug to retract. 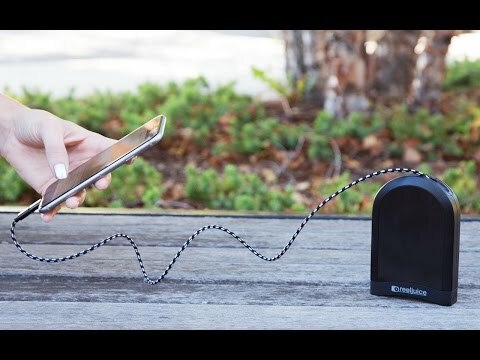 Its pass-through feature lets you charge your device as you charge the Reeljuice up for your next power boost, too. Dimensions: 5.75" x 3.12" x 0.77"